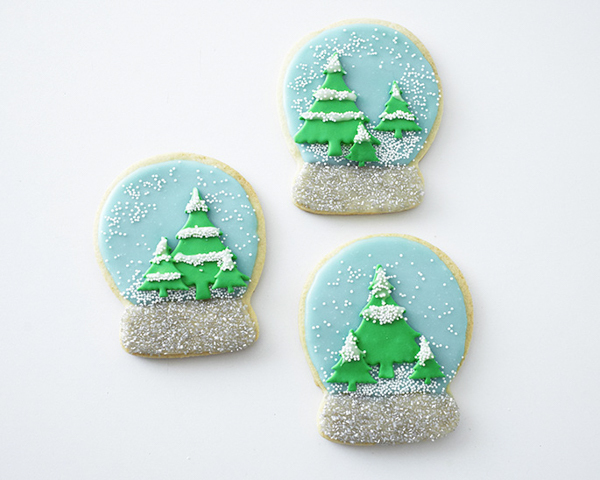 Snow Globe Cookies – Learn how to decorate sparkly, snow globe sugar cookies for the holidays with a simple step-by-step tutorial by our contributors, Mary and Brenda Maher of Cakegirls. When you’re an enthusiast baker, like we all are, Christmas is game time and our time to shine. Occasional baking suddenly becomes daily baking and the idea of sharing our favorite recipes and honed skills brings joy to our hearts. In order to fit it all in, we made a better plan. Instead of making dozens of decorated sugar cookies in different shapes and sizes with a million different colors and sprinkles, we’ve decided to make one amazing sugar cookie that’s a total show stopper and make sure we hand one out in every tin. 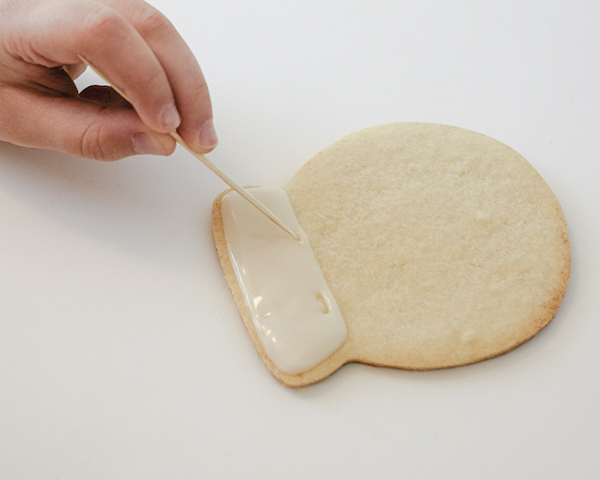 This cuts down on the time of trying to get creative with every cookie and gives you an opportunity to really showcase your talents. This year, the cookie that made the cut is our Glittery Snow Globe Cookie. It’s extra large, beautiful and really, who doesn’t like glitter. 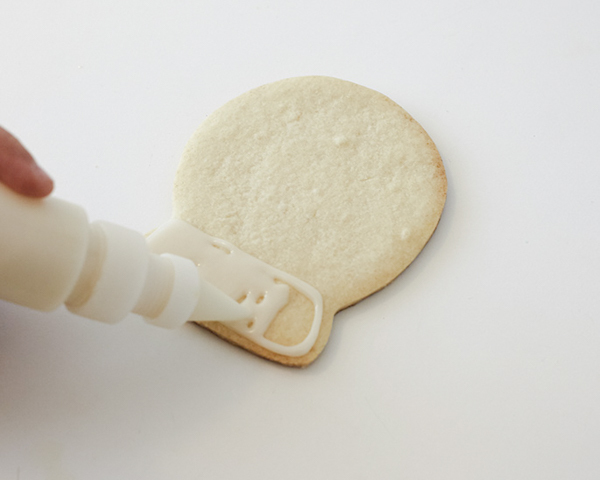 It starts with a reliable roll out sugar cookie recipe and instead of opting for royal icing (yes, you can use it if you want), we opted for tasty cookie glaze. It uses pantry ingredients and has a more well rounded flavor than royal icing. We use a simple Christmas tree punch cutter to add some adorable fondant Christmas trees and white nonpareils for flakes of snow. 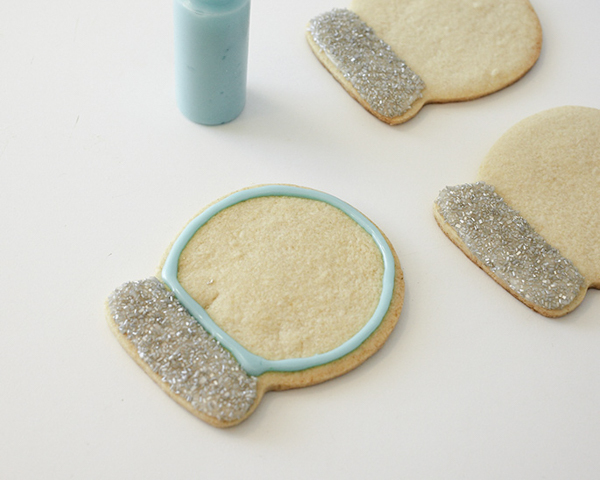 So, show them the love this year while you show off your kitchen skills and make these Glittery Snow Globe Cookies. 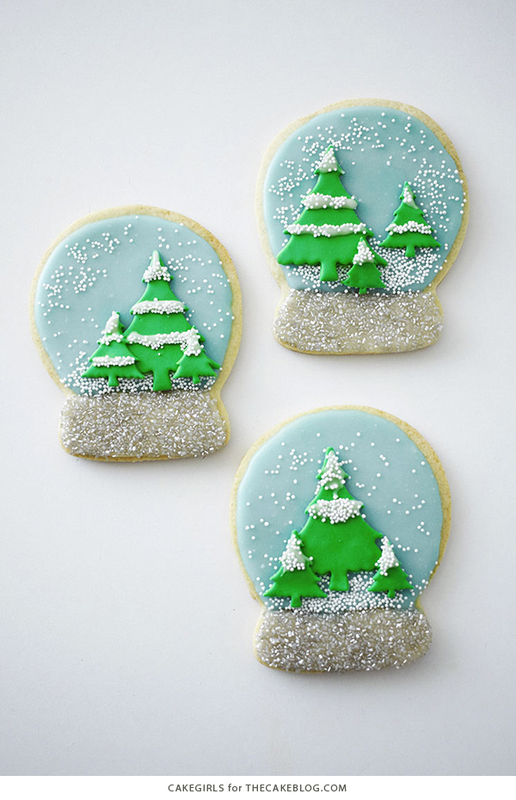 Bake these Decorated Sugar Cookies following the recipe instructions (This can be done in advance). 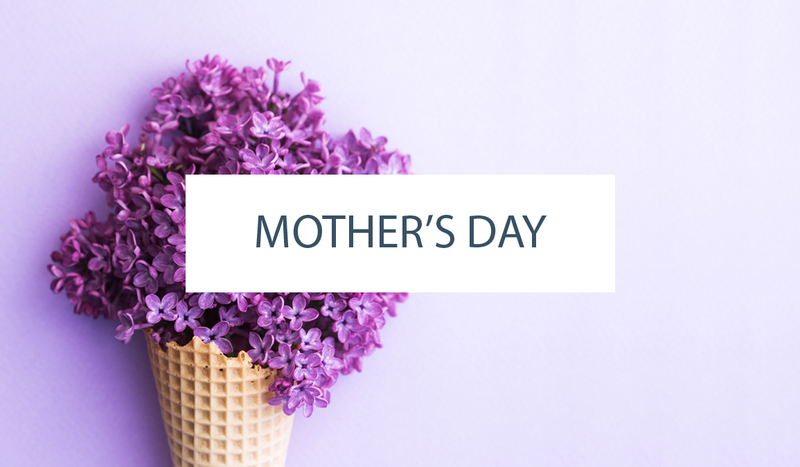 When ready to decorate, make the glaze, separate into bowls, tint 2/3 light blue and leave 1/3 untinted. Drizzle the glaze into squeeze bottles and cover any unused glaze on the surface with plastic wrap so it doesn’t dry out. 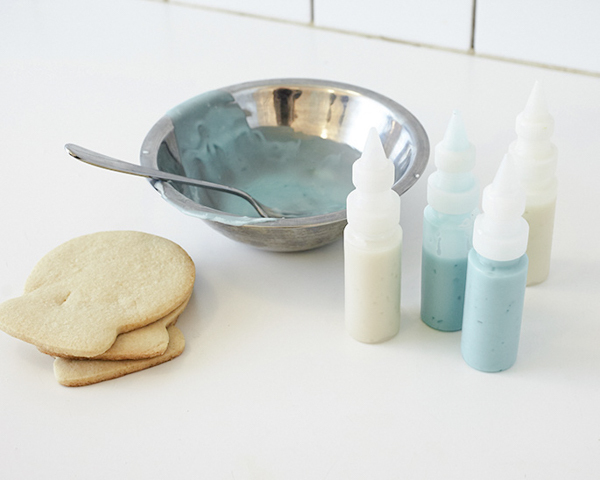 If you don’t have squeeze bottles, you could use a piping bag or a spoon to spread the glaze, but squeeze bottles help keep things clean and exact. Pipe an outline about 1/4″ in from the edge of the cookie base and then fill the outline in with zig zags. Use a toothpick to swirl together any gaps in the icing. 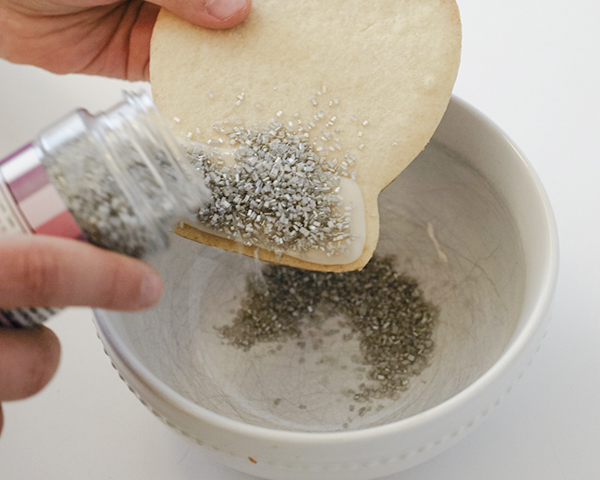 Immediately sprinkle the base with Silver Sugar Crystals before moving on to the next cookie. Repeat this whole process with the upper part of the cookie in blue glaze. 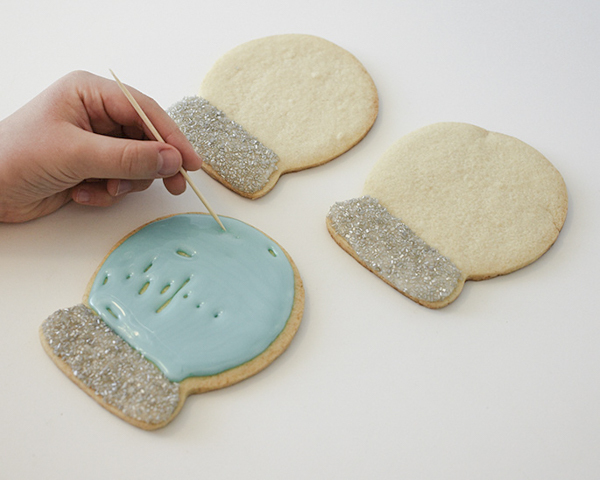 Immediately sprinkle White Non Pareils at the base of the blue glaze, making the bottom area more dense and adding less sprinkles throughout the rest of the cookie. 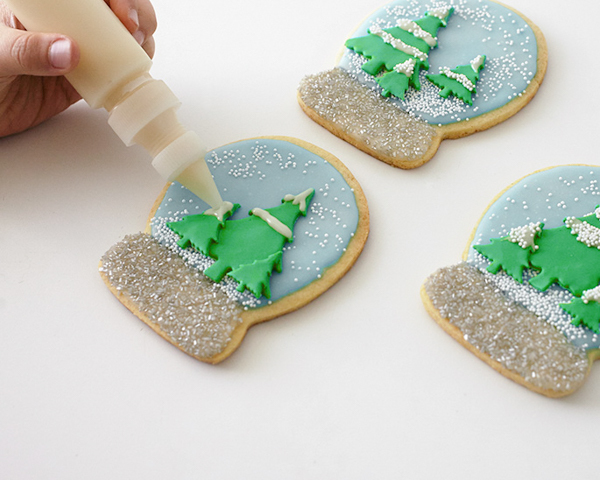 Let the cookies dry thoroughly before adding the trees so that you don’t make dents. This could take up to 4 hours or so, but may vary depending on your kitchen temperature. 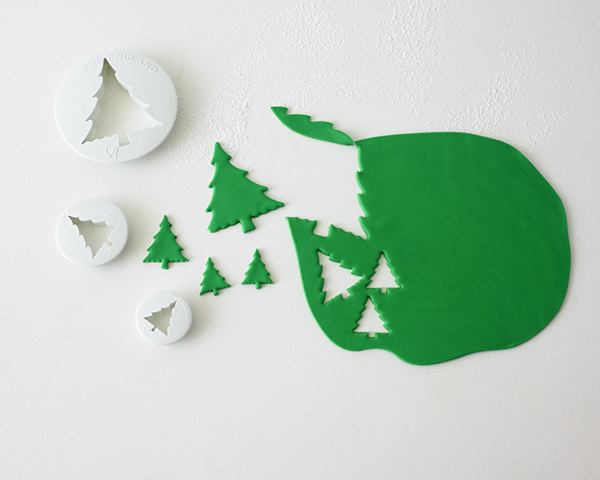 On a surface dusted lightly with powdered sugar, roll out some green fondant very thinly, 1/8″ or so and cut our various size trees. 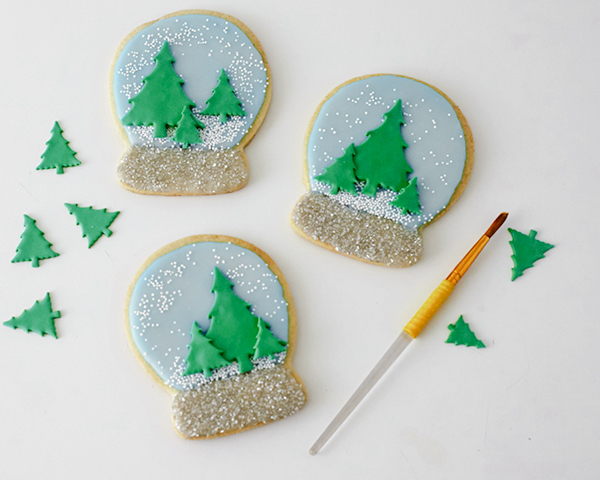 Use a paintbrush or your finger to dampen the back of the trees with water and arrange them on the top of the cookies. Add additional white glaze to the trees and then immediately sprinkle with more white non pareils to make snow capped trees. Let the cookies thoroughly dry (we let ours sit overnight) before stacking or packaging. These are so cute and surprisingly easy to make. I can’t wait to try them to impress a crowd.